With the MCU breaking numerous records with each release, other studios are determined to try and clone it's success with similar takes at shared franchises - perhaps the most notable rival is of course one DC Comics, also homing some of the most iconic superheroes in the modern world. Though it's critical and financial success has yet to replicate that of Marvel, the DC Universe now finds itself with perhaps it's largest release yet, bringing together some of it's most iconic heroes in an Avengers-esque adventure that's been met with mixed results by many - Justice League is certainly an enjoyable modern blockbuster, but as with most films in this evergrowing franchise, finds itself hindered by frustrating narrative hiccups. Following the death of Superman (Henry Cavill), billionaire Bruce Wayne (Ben Affleck) seeks out a number of newly rising heroes to form a team dedicated to protecting the world from crime and injustice. His actions are further influenced by the sudden return of the sinister Steppenwolf (Ciarán Hinds), leader of the extraterrestrial Parademons, having made a sudden escape from his lengthy prison and soon given the chance to conquer all that surrounds him. 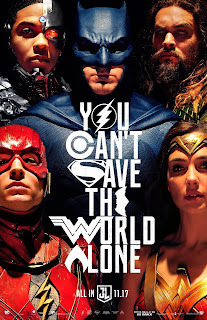 Justice League certainly puts it's gargantuan budget to good use with impressive results - nothing's truly innovative, but regardless, the costumes, set design, and visual effects are all well handled, integrating these heroes into the live action world without focusing too much on unnecessary realism, but also not making for any overly corny results; this field of aesthetics has arguably been the DC Universe's strongest aspect since it's debut. We're once again left with a highly refined superhero flick on a visual scale - and of course these renowned heroes are not brought to life just by impressive aesthetics but also a lineup of talented actors who all perform brilliantly. 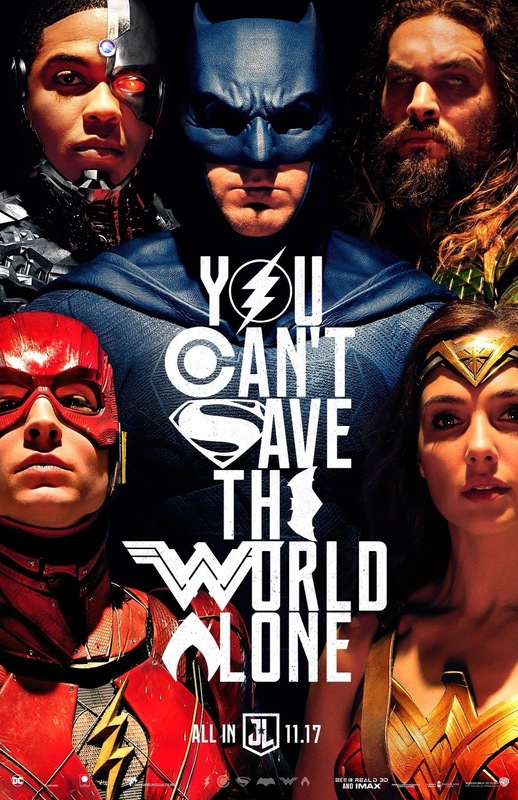 Whether it's Affleck as Batman or Gadot as Wonder Woman, or especially newcomers Jason Momoa as Aquaman and Ezra Miller as The Flash, this is a well chosen cast that fit their roles nicely but also clearly put a lot of effort into their performances, despite some evident setbacks. Setbacks? Well, of course this ensemble hasn't quite been released at the same pace as The Avengers - by then each leading MCU hero had their own movie and so were introduced with slightly more depth, which isn't the case with DC's similar take on the concept. Consequently, some awkward integration of necessary backstory for heroes viewers may be unfamiliar with is inevitable; thus a number of plot threads are mixed together which leads to occasionally messy results. Many characters find themselves weakly developed, and despite a fairly intimidating performance by Hinds, the villain Steppenwolf ends up rather bland and forgettable. It's this lesser attention to storytelling that makes Justice League such a major disappointment for many - a potentially powerful narrative is sacrificed for a stronger focus on visual appeal, and the story we're left with, while certainly enjoyable at times, isn't as memorable as one would hope. The finished product certainly remains an entertaining (and somewhat underrated) superhero adventure, with a solid blend of humour and genuine thrills, not to mention some superb set pieces; it's just a shame how there was clearly potential for it to be so much more.